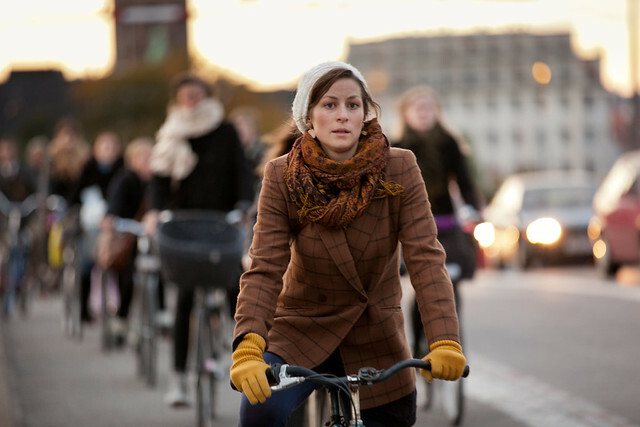 Just like pedestrians cyclists have the ability to blend seamlessly into each other without colliding. Often forming long lines like pearls on a string when traffic becomes heavy. Its not about "drafting" which sports cyclists practice to perfection but adapting to the flow of everyone else on the road. 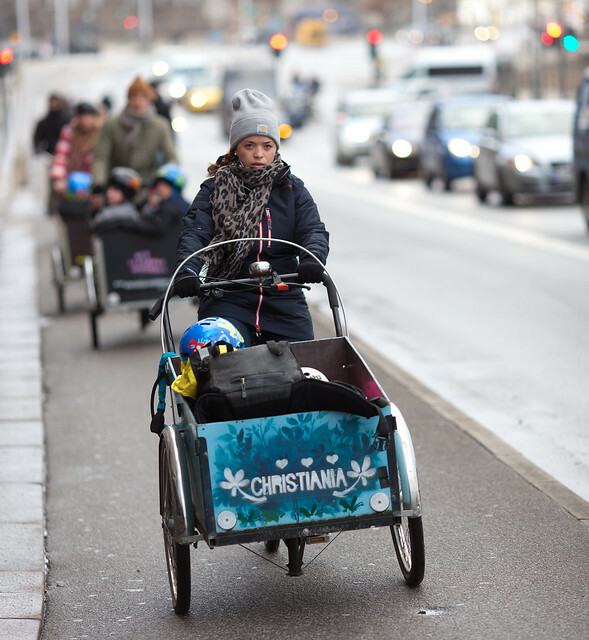 Occasionally its just practical like this Copenhagen Kindergarten that has invested in a fleet of cargo bikes to tour their children around the city. 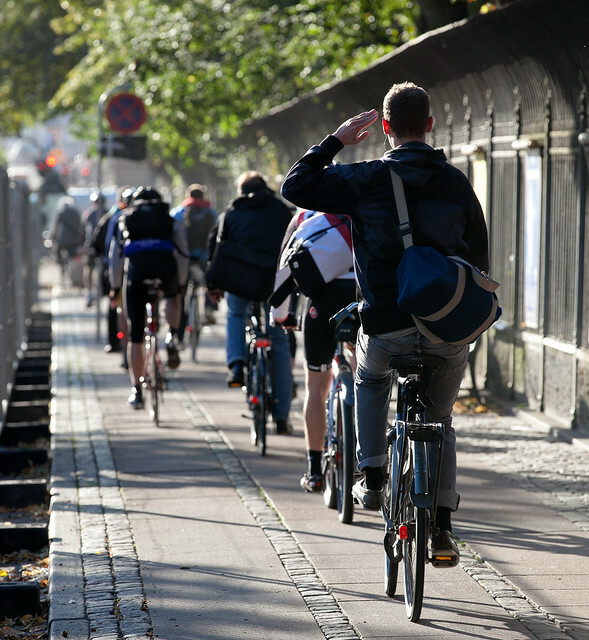 During rush hour long lines quickly form along the main cycling paths. 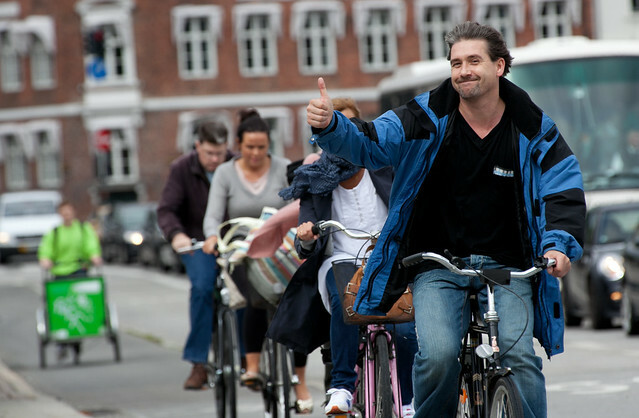 Most of Copenhagen's bike lanes have only been built for two cyclists at a time. 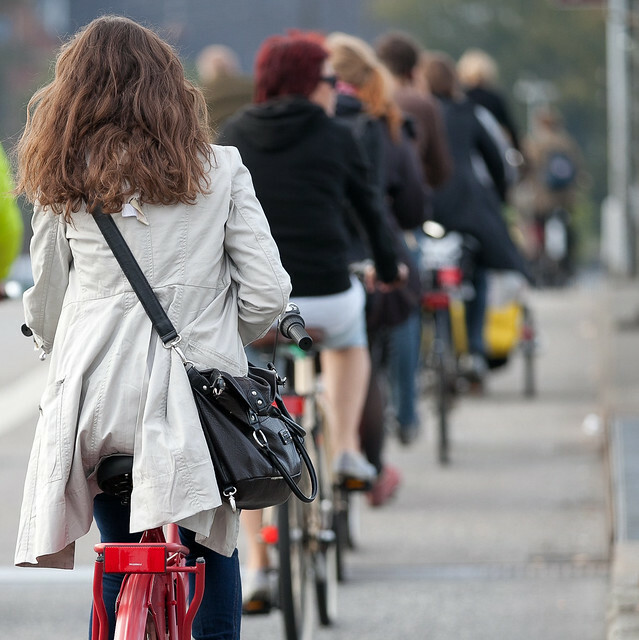 With more and more people biking each day there is an urgent need to widen the cycle lanes to avoid future congestion. I love thes Christiania Bikes! Wish they could be bought in Germany!